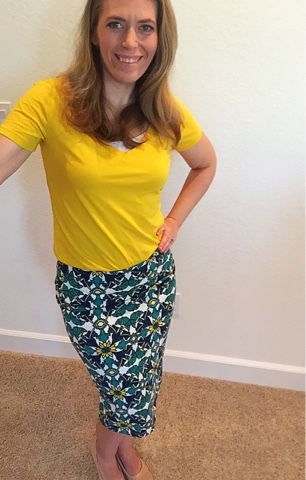 In June, I lost my mojo when it came to dressing in anything other than a pair a shorts or a nice skirt for work. Plus I went on vacation and dressed casual the entire time. I was also dealing with being under the weather. But in July, I started to get my mojo back and put together some looks to continue my quest in 2016 to get out of just wearing jeans and shorts in the summer. 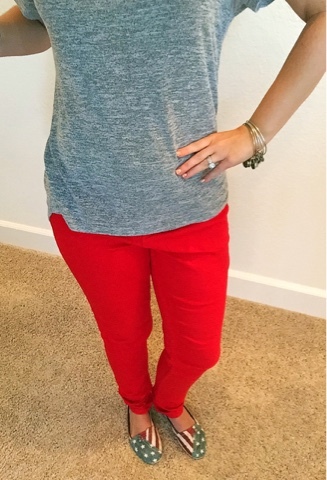 These were by far my most liked outfits..
Stitch Fix top. Forever 21 jeans. Target Shoes. Alex and Ani Bracelets. Forever 21 pencil skirt and shirt. August is going to be game on when it comes to my outfits. I'm also working on my Christmas wish list which will be featuring some new Alex and Ani bracelets. I'm so happy to have mine back. When we moved I couldn't find them for awhile. Now I've got them all back. I don't know how people go into Forever 21 and not get completely overwhelmed. I've found a couple of tops there before and that was on a whim, but I don't have the patience to go in. Maybe I'm just showing my age! LOL! 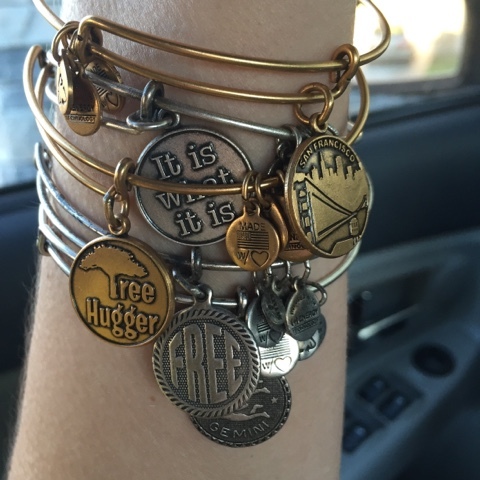 Love the Alex and Ani bracelets, too. We just had a store open up in my neighbourhood. Ooh! I love the bright colors!